This article isn’t a step by step on how to get a Product Designer Offer from Google, but what I learned from all of this and how I got to where I am now. I’m a fourth year student at California College of the Arts who came to California on a whim after graduating high school. It was a hard decision, emotionally and financially. Emotionally, because I would be on the other side of country by myself. Financially, because my mom was supporting a family of six on top of paying mortgage and overdue bills. At 19, I was less than a year into the program and trying to find a summer internship to explore what I wanted to work on after I graduate. I also needed to make money so I could afford to keep going to school and reduce the financial burden my mom had raising a family on her own. It took a hundred rejections and a little bit of luck, but I landed my first design job as a UX research intern at DocuSign. It was a great experience and I continued going to school and applying to more internships over the next several semesters. Dozens of rejections helped guide me to my successes and teach me about the kind of work I wanted to do. I started out knowing nothing about design but grew to thrive in it. From creating accessible design resources with organizations like Skillshare, to advocating design through podcasts and talks, I knew I wanted to be part of a great design culture after graduation — a place where there is endless possibility to create, and an opportunity to make meaningful impact in the world. When you are challenged, you are asked to become more than you were. That means creating new perspectives, acquiring new skills and pushing boundaries. In early 2017, I applied to Google for an internship and a week later, I got a rejection e-mail with additional advice of improving my craft skills and gaining more experience. Determined, I did just that by working on side projects, getting more involved in the design community through events and volunteering, and reflecting on my design experiences. A few months later, I applied for a different Google internship opportunity and I got an e-mail about the first interview round. I was intimidated at first, having never done a design challenge, but for all first time experiences, the most important thing was to not overthink it and just believe in my process. It took me a few hours to do the challenge and it was actually really fun. I got to showcase my skills and work on a speculative project where there are so many possibilities. I passed the design challenge and had the chance to talk with a recruiter and two people. With the recruiter, she wanted to know more about my design background. The designers I talked to in my interviews were really nice, conversational, and I got to talk about my projects in more depth. To keep track of improvements, I would write down keeps and changes with every interview I had. This helped me better understand my strengths and weaknesses, and what I should do more of. It also helped me improve the way I present myself during interviews. I passed both rounds and got the internship offer. Even though I learned so much from the process, an offer from a different company aligned more with my goals that summer, so I turned down the Google gig. It’s the things you learn after you know it all that count. It was a tough decision, but the right one. And it didn’t stop me from coming back to apply to Google for a job post-school. Going through the internship process helped me realize the company was a good fit for me. I happened to run into a Google recruiter while getting checked into a design event. We chatted and she suggested I send over my resume to her for full-time roles. A few months later, another recruiter reached out to me saying she had a few roles that could be a fit for someone with my level and experience. Design events can be a great way to network. I got on the phone with the recruiter where she talked about the role and rounds of interviews I would have to go through. Because I already had an offer with Intuit at the time, I told her about my impending deadlines as well as my interview with Facebook. She was able to expedite me through the process to skip the work phone call. This was to meet the timelines with other companies and she said she was confident in my abilities. If you have impending deadlines, always tell the recruiter to make sure she/he knows your schedule. This ensures there are no surprises during the interview process. Shortly after the phone call, I was sent a followup e-mail with details about the design challenge. It was fun. I really pushed the limits of my thinking in a short period of time and got to design something I was passionate about. Think about how you can design for Google’s core values. You don’t need to spend too much time on the challenge. It can cause you to focus on the nitty gritty details and not on how your project addresses the prompt. The onsite is by far the most rigorous part of the interview process. I had about a week or two to create a presentation and practice it. Along with that, I practiced answering interview questions and white board design challenges. On the day of the interviews, I made sure to give myself time to get to the location so I wouldn’t arrive late (Palo Alto traffic is no joke). 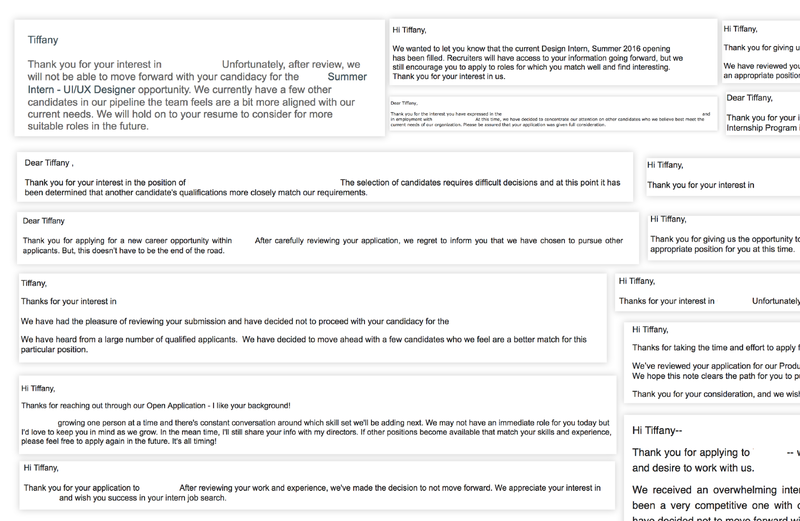 Shoutout to the recruiters for their extremely encouraging messages on the day of my interviews! A portfolio presentation on your work is essential when interviewing with any tech company. I presented my projects to designers from different teams. For specific advice on giving a stellar portfolio presentation, read my articles about presenting here and here. Practice, practice, practice. The day before interviews, I spent 5–8 hours preparing as well as the week before. Don’t use presentation notes, try to focus on the people in the room. Cater your presentation to the people in the room. As a baseline, it helps to make your presentation simple to understand while showcasing breadth and depth behind your work. Provide as much context as you can in a short period of time and succinctly communicate. Interviewers are at the discretion to ask whatever question/provide any design prompt they want. There is little you can do to prepare for what the interviewer is going to ask you to do, but just be yourself. My interviews were comprised of behavioral questions and design challenges. For the behavioral interviews, I was asked lots of questions about my experience, projects, and how I work with people. At a company of 10,000+ employees, it’s crucial to know how to collaborate across different teams and work together effectively. As a designer, you’ll be expected to understand technical aspects of design, and to constantly push the boundaries of what you learn and applying it to your design rationale. For the technical interviews, I was given a wide array of design challenges where I had to map out my process on a whiteboard or critique an app. These test your ability to showcase and communicate your design thinking. You can read my article about how to prepare for onsite design challenges here. Google values curiosity, innovation and ability to deal with a wide range of different situations, from criticism to how you would work with people. They also want you to be honest and genuine about yourself. Don’t try to impress them by being someone you aren’t. Be able to articulate and come up with thoughtful answers to every question you are given. Don’t be afraid to admit your failures and how you overcame them. Don’t be afraid to ask questions or clarify when you are confused about a question. It’s better to have a well thought out answer than just answer right away when you don’t know what’s being asked. Relax and be confident. I was looking forward to every interview and felt extremely stimulated throughout the day. It was exciting. Holidays make the process longer, so it wasn’t until after December that I heard back from the recruiter. After much suspense and anxiety-ridden waiting, the hiring committee approved me to move forward. I was in. The rest of the steps were much simpler, dealing more with logistics and team matching. What I like about the team matching is that you can be put on a team that’s suited specifically towards you and what you want to do. Be clear with the recruiter about what you are interested in. This gives you a higher chance of getting matched with a team you want. Be excited and express how you can contribute when talking to your potential managers. It makes the process of team matching less stressful than it actually is. I had a great time talking to the people I was matched with. After the recruiter went over my offer via phone call and signing the papers, I can say that after 3 months, it’s finally official. I will be working at Google after I graduate college! I wasn’t good at interviewing to begin with. In fact, the thought of presenting makes me a nervous wreck. Countless rejections and reflection have allowed me to improve in communicating my thoughts, a weakness I am in the ongoing process of mastering. Putting myself in situations and chasing opportunities for interviews/presentations significantly improved my ability to project my ideas in “high stakes” situations. Experience has taught me to develop my own point of view, something that separates you from other people. When you are able to thoughtfully communicate your needs and contributions to a company as large as Google, it shows you can take initiative and that you have the potential to do big things with grit. Skills aren’t enough. No matter how talented you are at designing things, if you aren’t invested in taking initiative for the things you care about, or you can’t communicate your ideas, you won’t get very far. The people who are best at what they do (and more) are constantly curious about learning new things and taking on challenges, no matter how uncomfortable or scary they seem. Complacency with the skills you have will not allow you to get out of your comfort zone and try new things. Individuality. What makes you unique. The people at Google wanted to know all of me—from my passions outside of school to dealing with conflict. They wanted to know how my experiences shaped my work even if they weren’t directly design related. They wanted to see how I told my story. Solving a whiteboard challenge interviewing at Google was totally different than at Microsoft a year before because I wasn’t focused on trying to impress the interviewer and covering my lack of my experience. I was genuinely trying to communicate my thoughts with the designer to make sure we were on the same page. I originally applied to all kinds of places not thinking about where I reallywanted to work. For internships, this matters less because you need the experience, but for full time jobs, it’s super important to know what you want because you could be at a place for years—and 2–3 years is enough time to do something amazing or lose momentum. You want to work in a place that resonates with your values and a mission that makes your heart sing. I found that a lot of the places I interviewed with weren’t a good fit with my personality and what I wanted to work on. In the end, I believed that the places I received offers from fit the best for me in regards to my passions and values. For internships and full-time, it was between Google and Intuit. This is because as well as having the design skills and interview skills, I was able to communicate my values, which aligned with theirs. Like Sebastien Gabriel mentioned in his experience about joining Google, I don’t think I would have gotten in without being uncomfortable and trying new things, people taking a chance on me, learning from my failures, and receiving support from amazing people. Design has given me purpose. It has allowed me to connect with people, to create experiences that make a difference in people’s lives, and it has allowed me to be more confident in expressing my values. I strive to continue contributing to this ever growing community, mentoring and learning from other designers, and to advocate UX across all fields of work. You might not get to your goal right away, but it’s the process you go through that helps you learn, gain experience, and reach for the things you want. It took me 3+ years to learn basic design skills, 100+ job rejections, and I’m still growing. It’s not the end result you should aim for, but what you learn in the process. I believe working at Google will challenge me to continue learning about design, the business and ultimately myself. 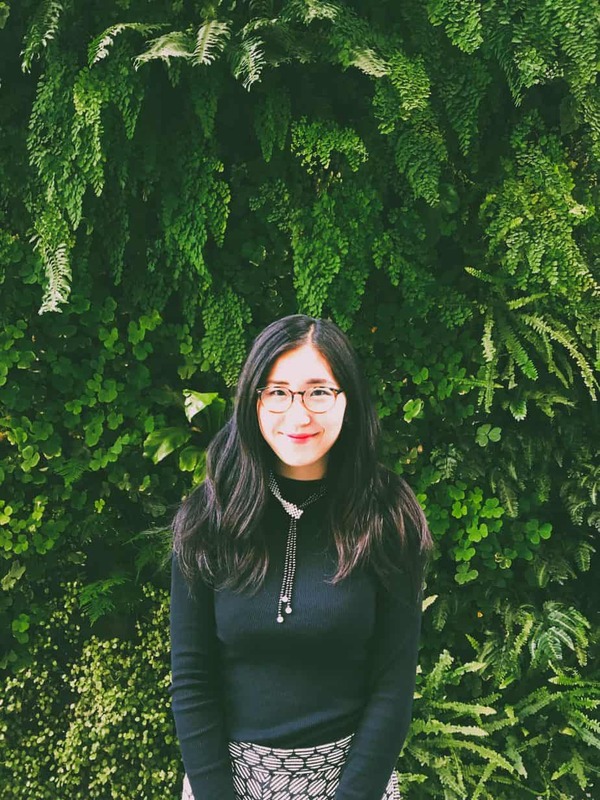 Tiffany is a self driven interaction designer who is passionate in advocating ux design across all fields of work, facilitating design education, bridging diverse communities, and being a role model for women and designers looking to grow in their careers. 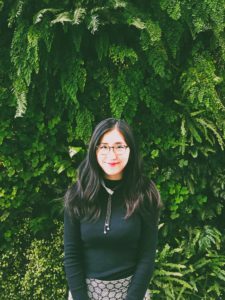 As a college student, Tiffany has varied experiences designing products for double-sided markets with Intuit and DocuSign. Her roles include anything from design strategy, research, and execution to collaboration and leadership. As a design advocate, Tiffany writes about her experiences weekly on Medium (@tiffanyeaton), mentors designers in her spare time, and collaborates with companies on design education initiatives through freelance design and writing.